Companies added three oil rigs in the week to Feb. 15, bringing the total count to 857, General Electric Co's Baker Hughes energy services firm said in its closely followed report on Friday. The U.S. rig count, an early indicator of future output, is still higher than a year ago when 798 rigs were active after energy companies boosted spending in 2018 to capture higher prices that year. Thanks to a shale boom, the United States became the world's top crude producer last year and record output is expected to rise 1.5 million barrels per day (bpd) to 12.4 million bpd this year, the U.S. Energy Information Administration said in a monthly forecast on Tuesday. The International Energy Agency warned in its monthly report this week that the global oil market will struggle this year to absorb fast-growing crude supply from outside the Organization of the Petroleum Exporting Countries, highlighting U.S. output growth. However, U.S. drillers have removed on average of 28 rigs this year so far as a lack of pipeline capacity in the Permian basin, the largest U.S. oil shale field, landlocked some output and as investors pushed producers to reduce spending and boost shareholder returns. The price of crude in the Permian of West Texas and New Mexico fell sharply last year, selling as much as $18 below U.S. benchmark prices. More than half the total U.S. oil rigs are in the Permian where active units fell by five this week to 473, the lowest since June. Pioneer Natural Resources Co, one of the Permian's largest producers, said this week it plans to reduce 2019 capital expenditures by 11 percent, or about $350 million, slowing its production growth. U.S. crude futures were trading around $55 a barrel on Friday, up about 5 percent for the week as OPEC-led production cuts encouraged investors. Looking ahead, crude futures were trading around $57 a barrel for the balance of 2019 and calendar 2020. 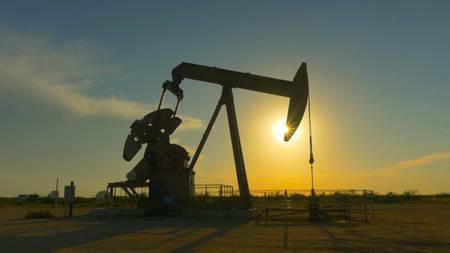 The EIA projected West Texas Intermediate spot crude would average $54.79 in 2019 and $58.00 in 2020, down from an average of $65.06 in 2018. U.S. financial services firm Cowen & Co said this week that early indications from the exploration and production (E&P) companies it tracks point to a 3 percent decline in capital expenditures for drilling and completions in 2019. In total, Cowen said those E&P companies spent about $93.1 billion in 2018. There were 1,051 oil and natural gas rigs active in the United States this week, according to Baker Hughes. Most rigs produce both oil and gas.